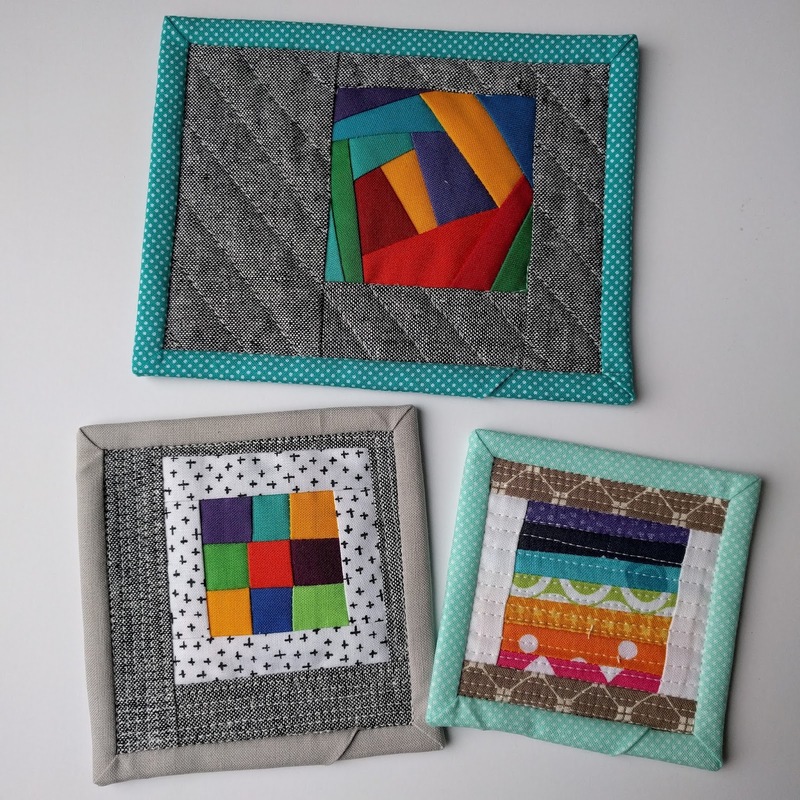 I happen to stumble upon the #miniminiquilt and #miniminquiltswap purely by accident. But, boy am I glad I did. 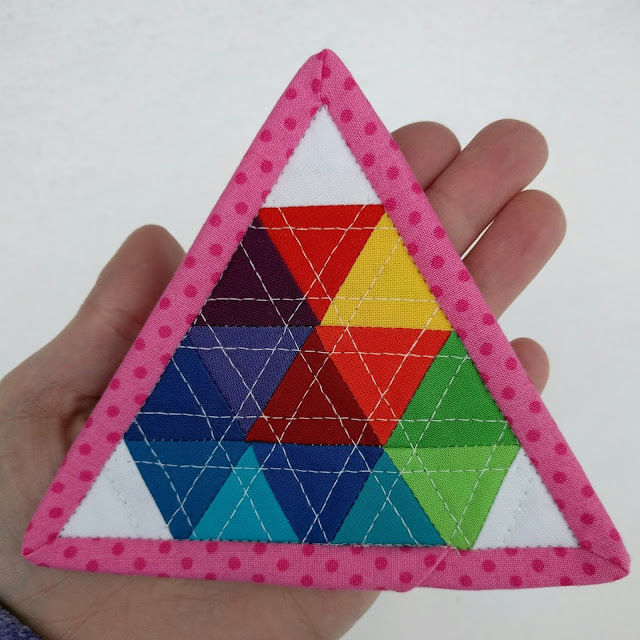 I've toyed around with the idea of making tiny mini quilts and have a few that are about 6 inches square. And when my hubby suggested I make a few tiny quilts, I took it as a sign that I should start making some. So I took to the scrap pile and started cutting out 1.5 inch triangles. So teeny tiny, but I'm weird and actually enjoy small sewing. My points might not be perfect, but they aren't in my larger quilts, plus I think it gives it a little more art feel to them. I LOVE how this little guy turned out, at 4.5 inches tall it is just the most darling thing every! And just like my normal mini quilts I bound this one using the single fold binding method from Jaybird Quilts (Link Here). The only modification to the binding, was to sew it on with a very scant 1/4 inch seam. Of course I just couldn't stop at one, now could I. So I started making more and plus I was able to use a spare mini block I made for a previous project. These are so fun and satisfying to sew. I can usually sew, quilt, and bind in one session, which with two kiddos is a miracle! Plus two of these allowed me to try some improve piecing (which I've never done) and with different settings. The top one with the improve piecing measures 4.5 inches x 6 inches. A little bit for mini mini, but I still love it. The mini 9-patch measures 4.5 inches square and the mini spool is 3.5 inches square. I see many more mini mini quilts in my future! I love your mini mini's! I have been obsessed with them for a while now, and find I love the challenge! My smallest was 2", which I just finished! Crazy!